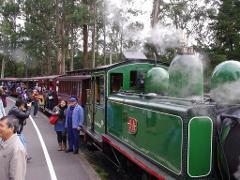 Today you'll step back in time to the era of the Victorian gold rush. First you’ll head out over the West Gate Bridge, en route to the beautiful town of Ballarat. 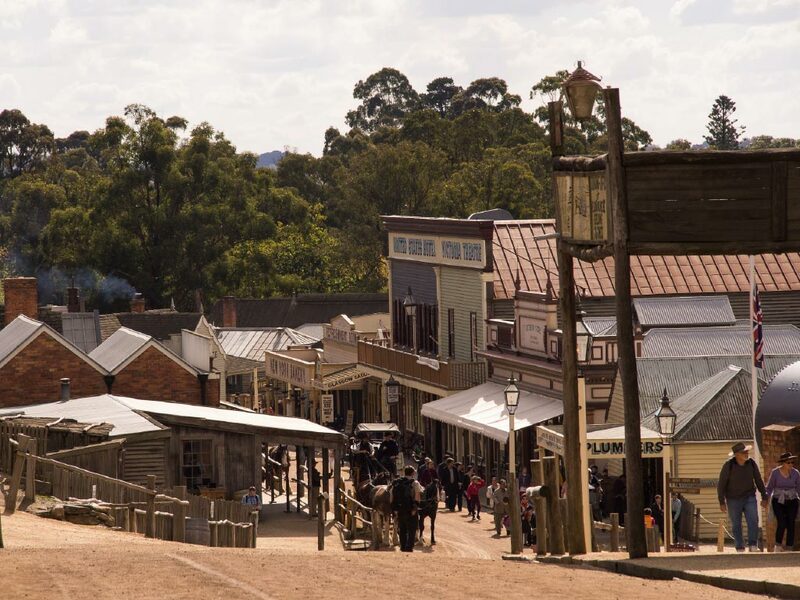 Sit back and relax with DVD entertainment introducing you to Sovereign Hill, a wonderful outdoor museum exhibiting in ‘real life’ the story of Australia’s gold rush history. As you arrive in Ballarat you'll come to understand the historical significance of this town. In its centre the lush tree-lined streets are filled with grand homes of the Victorian era, many the result of prosperity from the gold fields of the 1850s. Today, Ballarat is a major regional centre and the commercial capital of the Central Highlands with a population of almost 100,000. 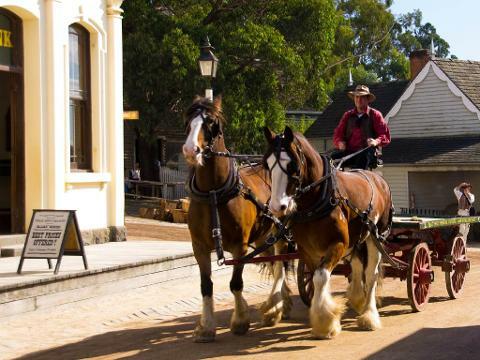 When you arrive at Sovereign Hill you will be placed back in time to the great gold rush era of the 1850s. It’s just like stepping into a working town of the time, with period-style homes, shops and retailers, blacksmiths, hotels and costumed characters that bring the exhibition to life. You can wander through the town to get a feel for the lifestyle as it was then. 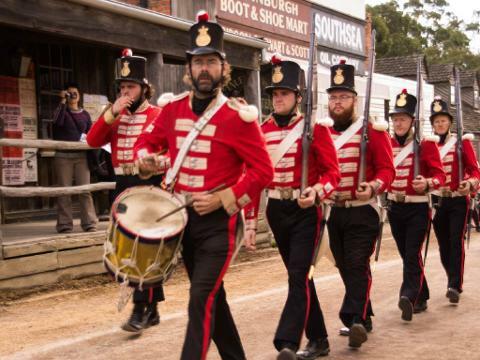 The first thing that you'll experience at Sovereign Hill is the amazing story of the Eureka Stockade, an event that was fuelled by government taxes that were being imposed on miners at the time. The first armed rebellion of its kind in Australia, it led to the deaths of twenty-two diggers and five troopers, and changed Australia’s history forever with the birth of democracy. Go down into the depths of a real underground gold mine and discover the dark and dangerous world of deep lead mining. Here you'll also witness the discovery of the famous ‘Welcome Nugget’. 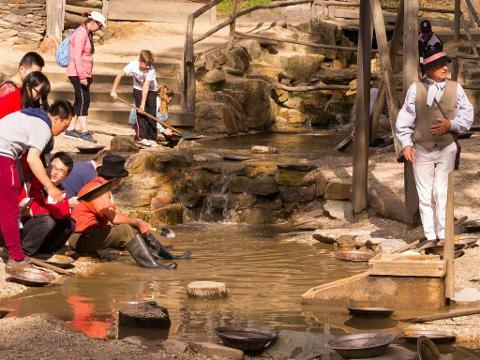 One of the many fun things you can do at Sovereign Hill is pan for gold. There are diggers on hand to show you the tricks and techniques used to strike it rich, and then you can have a go and try your own luck. 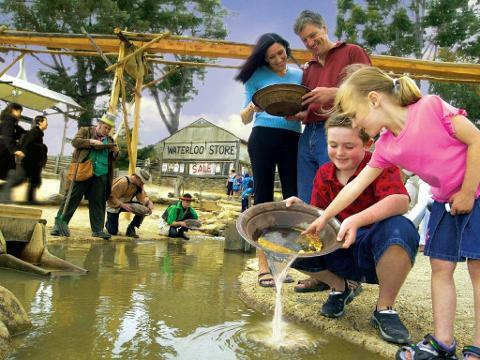 You’ll be entertained by the many performances each day illustrating the exciting and colourful life on the gold fields. With wonderful costumes of the day and many stories to share, the characters will sweep you up in the fun of it all. You can also visit a number of operational workshops and witness demonstrations of blacksmithing, wheel wrighting, gold pouring, candle making and many more. goldfields characters in period dress! › You'll even have the opportunity to hand feed kangaroos! 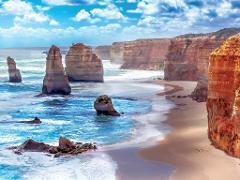 This tour departs from Melbourne Day Tour Centre, Federation Square East, corner Flinders & Russell Streets, Melbourne or your CBD hotel. In some instances, we may need to pick up from a nearby hotel if we cannot pick up directly from your accommodation due to restrictions beyond our control. Pick Up Points: Please select one of the one of the pickup points at the time of booking the tour.